A significant gathering and memorial site, Grand-Pré has been named a World Heritage UNESCO site and as such represents true recognition of the entire Acadian community. In 1755, the Church of Saint-Charles-des-Mines in Grand-Pré is the site of the proclamation of the Order of the Deportation. Reflecting by turn tragedy, emotion and the beauty of its landscape, Grand-Pré National Historic Site is an indispensable landmark. 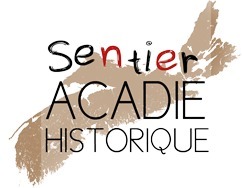 Make the best of your time in the area to visit a number of scenic and interesting Acadian historic sites, especially the memorial site of the Battle of Grand-Pré, which is located along the road and which confirms that the French continued to fight for Acadia long after transfer of the land under the Treaty of Utrecht of 1713. Don’t forget to stop at Grand-Pré’s Observation Park. 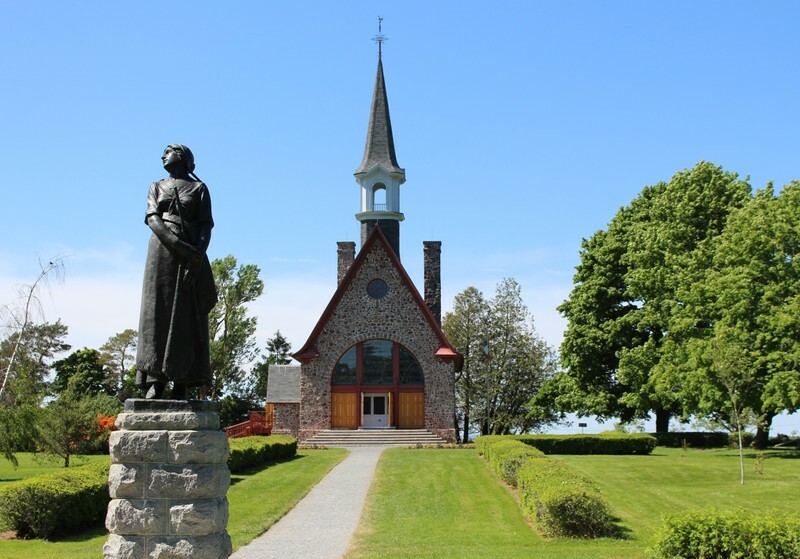 Located on Old Post Road, the park offers an unobstructed view of the Grand-Pré marshlands, the Memorial Church and Cape Blomidon. When leaving Grand-Pré National Historic Site, continue straight ahead along the coast. Road signs will provide directions to Evangeline Beach. Named after the famous poem by Henry W. Longfellow, Evangeline Beach is an integral part of the cultural landscape of Grand-Pré. At low tide, take a stroll along the enormous stretch of sand beach. 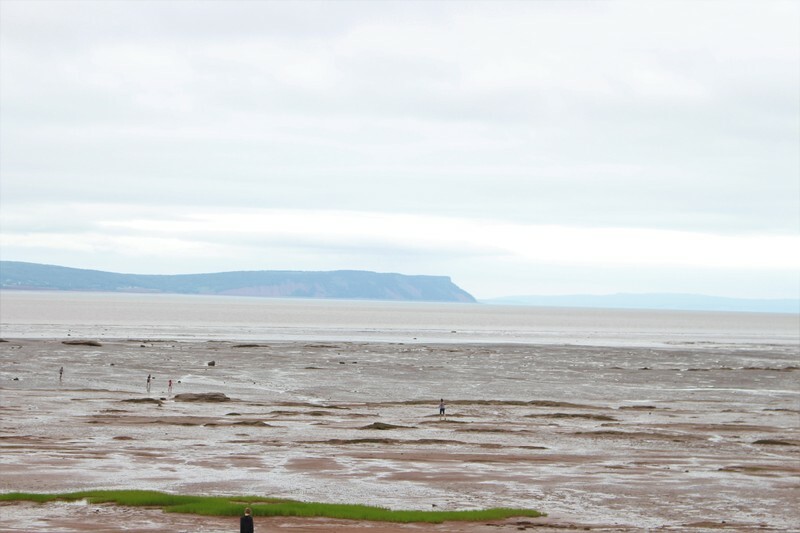 Marvel at the color palette typical of the Minas Basin, ranging from red to blue with the spectacular view of the Cape Blomidon cliffs in the background! You can easily visualize the first Planter ships as they arrived and settled here more than two centuries ago. 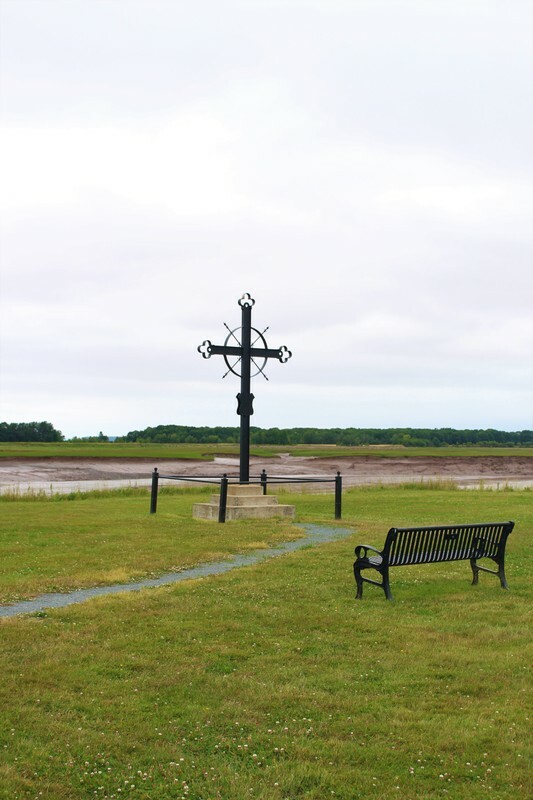 Located in Horton's Landing, this cross is a memorial site of the Deportation of the Acadians. From Hortonville, follow Wharf Road and the Cross will be located at the very end of the road, directly after a farm located on your right. Please watch out for farming equipment and children in the area! "The dry bed of the creek which is in sight, a few paces in the marsh is the spot where the victims of the Expulsion of the Acadians of 1755 were embarked on the small boats to be rowed over to the transports lying at anchor in Minas Basin." A few meters away is a monument dedicated to the Planters who arrived in the region after 1755. Take the time to visit Mosquito Point. The working model dyke and modern aboiteau demonstrate Acadian techniques used to master tides and land in order to pursue their agriculture. The small town of Wolfville and its downtown core will surely enchant you. 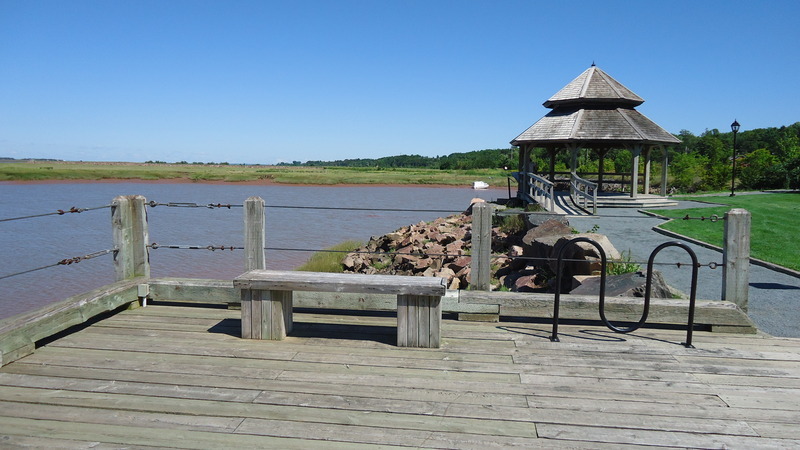 Stop by the Wolfville Waterfront Park, where its look-off is the perfect spot to relax and enjoy the Bay of Fundy landscape. You can enjoy many scenic features along the way, including dykes, the impressive tides of the Basin, agricultural parcels made possible by the dykes as well as a view of Cape Blomidon. Enjoy a stroll along the dykelands, where a wonderful hiking trail awaits you. Two thousand Acadians are deported from Grand-Pré and the surrounding area, a third of the total 6,000 Acadians deported from Nova Scotia in 1755, among them, men, women and children.